It has been a while, but I want to continue to work through some of the hard questions that members of my congregation sent to me earlier this year. One question was, “Who is the man of lawlessness in II Thessalonians 2:1-12?” To answer this question we must begin by asking what is going on in I Thessalonians 4-5 and in II Thessalonians 2. Throughout this article I am going to lean on Keith Mathison’s interpretation in his book Postmillennialism. Most readers assume that whenever “the day of the Lord” is mentioned, such as in II Thessalonians 2:2, that it means Christ’s second coming. However, there are numerous indicators that II Thessalonians 2 is not talking about Christ’s second coming, but rather he is talking about Christ coming in judgment upon Jerusalem in A.D. 70. In I Thessalonians 4-5 the modern reader believes he is reading about the same event described in two different ways. Chapter 4:13-18 clearly refers to the final day and the resurrection from the dead. Paul talks about Jesus bringing with him those who sleep, the Lord descending from heaven, and all of us being caught up with Him in the clouds. But is 5:1-11 referring to the same event, the second coming? There are several indicators that chapter 5 is not referring to the second coming of Christ. First, in chapters 4-5 Paul is answering a series of questions or responding to news he had gotten from Timothy about the church in Thessalonica (3:6). He discusses sexual immorality (4:1-8), brotherly love (4:9-12), and the second coming (4:13-18). There does appear to change the subject in 5:1. Paul uses the same phrase he uses in 4:9 to change the subject from sexual immorality to brotherly love. Context indicates that he could be changing the subject. Second, much of the language used in 5:1-4 is used by Jesus in Matthew 24. I do not have time to go into here, but Matthew 24 is not referring to the end of the world, but to the destruction of Jerusalem in A.D. 70. At the end of this post I link to several other blog posts to prove this point. Third, if the day of the Lord is the second coming then why would the Thessalonians believe it had already come in II Thessalonians 2:2? Why would Paul need to convince them that they Day of the Lord had not come, if that day was referring to Christ’s return and all believers being “caught up” with him in the air? Read II Thessalonians 2 and ask yourself how this makes any sense if Paul is talking about the end of the world? In short I Thessalonians 4 refers to the 2nd coming and Paul assures his readers of their resurrection and their joining with Christ. I Thessalonians 5 and II Thessalonians 2 do not refer to the 2nd coming, but instead refers to Christ coming in judgment upon Jerusalem in A.D. 70. In II Thessalonians 2:1 and following Paul is telling these Christians that the destruction of Jerusalem has not yet occurred. They had gotten some letter or messaging stating the Christ had come in judgment upon their enemies (2:2). He then says two things must occur before the Day of the Lord. There must be an apostasy/rebellion and the man of lawlessness must be revealed. What can we determine about this man of lawlessness? He is a political leader. The language used in 2:4 is used in the Old Testament of wicked political rulers (See Isaiah 14:4-21, Ezekiel 28:2-19, and Daniel 11:36). He is being restrained right now and the Thessalonians know what is restraining him (2:6). This means he is alive when Paul is writing around 51-52 A.D. Despite being restrained he is already at work ( vs. 7). His reign will be marked by great wickedness (vs. 9-10). He will be killed by God after he is let loose (2:8). Mathison believes this refers to Nero, who when II Thessalonians was written, was not yet Emperor, but soon became Emperor after his mother killed the current emperor. Nero was known for his extraordinary wickedness. During his reign the Jews rebelled against Rome. This could be the rebellion referred to in vs. 3. Rome then began to wage war on the Jews. This is called the Jewish War. During this war, in A.D. 68, Nero died. This is one of the most plausible explanations. Though I am not convinced it fits with verse 4, where the man of lawlessness is said to sit in the temple of God. It is possible this man of lawlessness was a Jewish leader who lead Israel in rebellion against Rome. Whoever the exact man was, this much is clear, II Thessalonians 2 is not referring to a future man of lawlessness. This man was around when Paul wrote, but restrained. He has already passed off the scene. There is no man of lawlessness coming in the future. The enemies of God are planners and schemers. In Psalm 2:1-3 the nations and rulers plot and take counsel on how they can break God’s chains. What can we do to escape God? How can we run from Him? How can we evade his rules? What can we do to destroy his Word and make him disappear? Imagine a bunch of corporate lawyers sitting in a back room late at night plotting the overthrow of another company. In our culture this plotting takes place through things like feminism, sexual freedom, the acceptance of evolution, the careful parsing of God’s word by weak-willed men (and women) so that it becomes impotent, college classes on gender studies, failure to call public leaders to repentance, and a denial of sin as the problem in our lives. For Christians who love God’s Word and its Author, this scheming can be discouraging. Our resources are paltry. Leaders are dropping like zombies in The Walking Dead. Doctrinal compromise is normal. Every day more laws get passed that destroy the remnants of Christianity that were once in our culture. And what of the Church? She is harassed and persecuted around the world. Where she is not persecuted by the enemies of God she is threatened by wolves who have found their way into the sheepfold. All in all, there are times we wonder if Jesus missed something when He said, “The gates of hell will not prevail against his church” (Matthew 16:18). The Egyptian army had it all worked out. They were going to overtake that ragtag band of slaves, led by an 80 year old shepherd and destroy them. 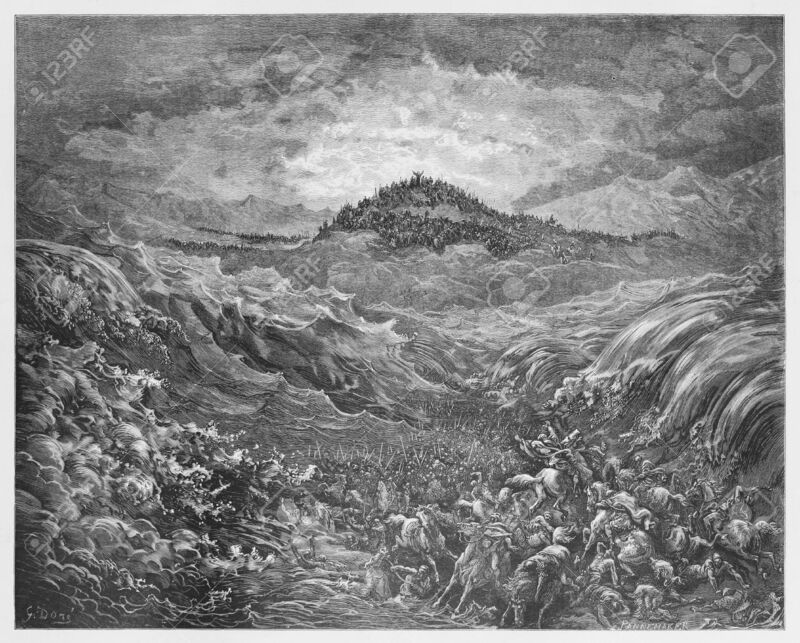 They were going slaughter them by the seashore spilling their blood all over the sand and then go back to feast. They were cocky and sure of themselves. After all, Israel’s back was to the sea and Egypt had the greatest army in the world. What or who could possibly stop them? All those plans, all those schemes thwarted in a moment by a God who is not like other gods (Exodus 15:11), but is glorious, fearful, powerful, and a man of war. If you are Christian do not fear the plans of the great men of this world. Politicians, professors, movie stars, talking heads, Muslims, and false teachers of all stripes can plot and scheme to tear down God and his people, but in the end they will not prevail. They will come to nothing. They are but a drop in the bucket and dust on the scales (Isaiah 40:18). Do not listen to the fear mongers in the press or on your Facebook page. Even your Christian friends can get sucked into the vortex that says that God will not deliver and it would have been better to stay in Egypt (Exodus 14:10-12). Tell them to not be afraid. God has already saved us to the uttermost in Christ. We have already seen the salvation of God (Exodus 14:13). Sin, Satan, death, and our enemies have all been put under his feet. Jesus has all authority (Matt. 28:18-20). He rules over the kings of the earth (Rev. 1:5). Why the fear? Why the anxiety? Why the lack of trust? Christian believe him. He rescued Israel. He will rescue us. But if you are not a Christian or if you used to profess faith in Christ, but now you are drifting away, you should fear. You will not come through the sea. You can plot, scheme, push those thoughts about death away, hope it is all a myth, ignore God’s word, but it will not change a thing. One day you will stand face to face with the God who drowned thousands. If Pharaoh was destroyed by Him, what chance do you have? If his chariots were dashed to pieces on the rocks, what hope have you of escaping by your own power? But He is not all wrath. He is also kind to those who trust in His Son Jesus Christ (Psalm 2:7, 12) and turn to Him. Join the glorious band who have been delivered by the blood of Jesus. Join those of us who because of God’s kindness came through on the dry land (Exodus 15:19). You too can see the salvation of God (Exodus 14:13) if you will just trust in Jesus and follow Him. It was interesting to find this quote from Peter van Mastricht (1630-1706) about three periods of justification. Mark Jones quotes this with approval in the chapter “Good Words and Rewards” in his excellent book Antinomianism. I have removed Scripture references. From this come three periods of justification that should be diligently observed here, namely 1: The period of establishment, by which man is first justified: in this occasion not only is efficacy of works excluded for acquiring justification, but so is the very presence of these works in so far as God justifies the sinner and the wicked. 2: The period of continuation: in this occasion, although no efficacy of good works is granted for justification, the presence of these same works, nevertheless, is required. And it is probably in this sense that James denies that we are justified by faith along but he requires works in addition. And lastly 3: The period of consummation in which the right unto eternal life, granted under the first period and continued under the second, is advanced even to the possession of eternal life: in this occasion not only is the presence of good works required, but also, in a certain sense, their efficacy, in so far as God, whose law we attain just now through the merit alone of Christ, does not want to grant possession of eternal life, unless [it is] beyond faith with good works previously performed. We received once before the right unto eternal life through the merit of Christ alone. But God does not want to grant possession of eternal life, unless there are, next to faith, also good works which precede this possession. Mark Jones closes the paragraph with this note. It is a sign of the times that not a few in the broadly Reformed church today–indeed, even professors of theology, would have a real problem with Van Mastricht’s conclusion that eternal life is not granted unless good works are performed by the godly. Do we believe that good works are necessary for final salvation? I have found very few Christians, even reformed ones, who would say yes. Jones’ book challenged me on this issue. One of the great myths of modern end times study is the rise of the antichrist. The picture is usually some great world leader who is inhabited by the Devil and takes over the United Nations. What is odd about this is that the only author to speak of the antichrist is John. And John does not speak of a “him” but of a “them.” And he does not speak of someone future, but someone present. Here are the verses where John speaks of the antichrist. There are several things to note about these verses. First, John plainly says it is the last hour. The end came 2,000 years ago. Second, John knows it is the last hour because many antichrists have come. This is past tense to John. He is not looking for some future Antichrist. There are antichrists everywhere he looks. He says a similar thing in 4:3. His readers knew antichrist was coming. John is telling them they are now here. Antichrists were a sign of the end. But again the end came 2,000 years ago. Third, these antichrists went out from the Apostles. This is the point of verse 19. If they had stayed with John and the Apostles they would have shown themselves to be true prophets. As it is, they are liars and antichrists. John knows these antichrists personally. They went to seminary together. Fourth, John shows very clearly what an antichrist looks like: an antichrist denies the Father and Son (2:22) and confesses that Jesus did not come in the flesh/is not from God. 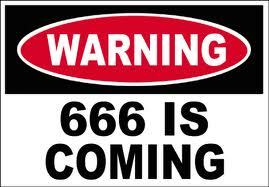 (4:2-3 and II John 1:7) An antichrist is not a great world leader who takes over the planet in the name of Satan. An antichrist is someone who denies a basic part of the Christian faith: Jesus left God and came in the flesh. Anyone who denies this is an antichrist. Fifth and finally, note that John says that many antichrists have come and that many deceivers who are antichrists have gone out into the world. He does not speak of a single Antichrist. Many pastors associate this passage with the “man of lawlessness” from II Thessalonians 2:3. I have no idea why. The person in II Thessalonians tries to replace God with himself. There is nothing in I John that parallels that. John and Paul are talking about two different people. Ditto for the beast in Revelation. The antichrist denies a fundamental Christian doctrine, that Jesus came in the flesh. H is not someone who wants to be Jesus or God. The upshot of all this is that we should not be looking for the rise of an Antichrist. We should be looking for false teachers who deny the Son and the Father. Our failure here has allowed us to write hundreds of books about the end of the world, while rarely dealing with what John is talking about. We tell lots of scary stories about some bald guy who rules the world with 666 tattooed on his forehead. But that man doesn’t exist. While there are many, including Mormons and Jehovah’s Witnesses, who deny the Son and the Father. So every time a Jehovah’s Witness comes to your door, you should say, “Do you know that you are the Antichrist?” This may not open up evangelistic doors, but it is the truth. 1. The immediate context of Matthew 21-23 involves the temple, Jerusalem and the cursing of Israel not the end of the world. 2. The book of Matthew is about judgment coming upon Israel. See chapter 12:22-45, as well as the parables in 13. This theme is continued in chapter 24. 3. “Generation” is used in Matthew 1:17, 11:16, 12:39, 41, 42, 45, 16:4, 17:17, 23:36, and 24:34. Every other place besides Matthew 24:34 it refers to a literal generation or to the generation standing right in front of Jesus. Why should we change the meaning in 24:34? 4. The imagery used throughout Matthew 24:15-20 is local imagery. Flee to the mountains. Get out of Jerusalem. Do not wait. These commands make no sense if Jesus is describing a worldwide tribulation. 5. The use of Daniel 7:13 in Matthew 24:30 is a reference to Jesus going up to the Father, not coming down for the 2ndcoming. Matthew is not talking about Jesus coming again, but rather rising up to God and sitting on his throne. Matthew 26:63-64 shows the same thing. 6. The constant use of “you” throughout the text. This must apply to the disciples or else the entire speech makes no sense. This does not mean it cannot in some way also apply down the line to something else, but there must be an application to the 1stcentury hearers. 7. While it is possible for “tribes of earth” in Matthew 24:30 to mean the whole earth, the word often means land, as in Rome (Luke 2:1)or land of Israel (25:45, 51) or even just the ground (25:18). With the word “tribes” attached to it, it is more likely that this refers to the 12 tribes of Israel and not the whole world. 8. Matthew 24:32-33 shows that Jesus expected his disciples to see the signs and act accordingly. 9. Luke 19:41-44 and 21:20 makes it clear this is referring to the destruction of Jerusalem. 11. The phrases used in Matthew 24:29 are not literal in the Bible. Isaiah 13:9-10 uses this imagery about the destruction of Babylon. Ezekiel 32:7-8 is about the destruction of Egypt. Joel 2 uses this imagery of a locust attack. While the locusts were probably literal, if you read through chapter 2 you will see that most of the imagery is not. 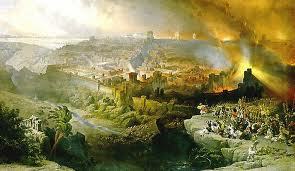 Amos 8:9 uses this imagery to describe the destruction of Jerusalem in 586 B.C. Acts 2:17-21 describes what is being fulfilled right in front of them and again it is not literal. There is no reason that it has to be literal here (or in Revelation for that matter). 12. The description of what will happen to the disciples in Matthew 24:8-11, Mark 13:9-11, and Luke 21:12 are all in Acts and Paul’s letters. Matthew 24:8-11 does not demand a world-wide persecution of Christians. It fits very well into the history of the church we find in the N.T. 13. Jesus and Stephen were accused of preaching against the temple. (See Matthew 26:61 and Acts 6:13) We can argue about what they said, but it is clear that those surrounding Jesus and the Jews in the New Testament felt they were against the temple. 14. The use of the end of the age/last days, etc. throughout the N.T demands a first century reading for the phrase “end of the age” in Matthew 24:3, 13, and 14. (See I Corinthians 10:11, Hebrews 1:1-2, and I John 2:18). 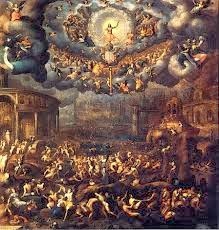 The idea is that the Christians are taken up into heaven so they can escape the great tribulation while are the non-believers are left on earth to endure 7 years of fire, hail, brimstone, rivers turning to blood, etc. Who are the ones taken away or swept away in these verses? Not the Christians. It is the non-Christians. Those who were not prepared for the flood were the ones taken away. Noah was the one left behind. Notice in Luke the disciples (see verse 22) follow up Jesus’ description about people being taken with a question about where they will be taken. Jesus’ answer does not indicate a rapture. Where will they be taken? Look for the vultures. They will be eating their flesh. Whatever you think about the rapture, vultures eating the flesh of those taken does not usually figure into it. So being taken in Matthew 24 and Luke 17 is not about the rapture. It is about Roman soldiers coming and dragging men off to die and to be slaves and to be imprisoned. When Did Jesus Come on the Clouds of Heaven? One of the more difficult verses for those of us who believe Matthew 24 is referring to the destruction of Jerusalem is Matthew 24:30. Here we are told that “They will see the Son of Man coming on the clouds of heaven with power and great glory.” A vast majority of Americans cannot imagine this verse referring to anything other than the 2nd coming of Christ. Yet Scripture tells a different story. (13) “I saw in the night visions, and behold, with the clouds of heaven there came one like a son of man, and he came to the Ancient of Days and was presented before him. (14) And to him was given dominion and glory and a kingdom, that all peoples, nations, and languages should serve him; his dominion is an everlasting dominion, which shall not pass away, and his kingdom one that shall not be destroyed. Jesus is clearly referring to this verse when he says this in Matthew 24:30. A couple of observations about Daniel 7:30. First, the Son of Man is Jesus. This is obvious from the numerous times Jesus calls himself that. Second, the Son of Man is coming up, not down. He is going up to the Ancient of Days, a reference to God the Father. Third, when he goes up he is given dominion. He does not have to wait to receive the world or to become King. He is given rule when he ascends. So when does this event occur? Let’s look at four verses that tell us, three from Matthew and one from Acts. In Matthew 16:28 Jesus says that some of his disciples will not taste death until they see the Son of Man coming in his Kingdom. Some commentators think this refers to the Transfiguration in Matthew 17. However, this is unlikely since the terminus is the death of some of the disciples. If they were going to see the Kingdom in six days (17:1) this statement makes no sense. So some of the disciples would see Son of Man coming in his Kingdom before they die. Again the coming of the Son of Man is not some far off event. In Matthew 26:63 the high priest asks Jesus to tell him plainly, “Are you the Christ, the Son of God?” Jesus replies saying, “It is as you say. Nevertheless, I say to you, hereafter you will see the Son of Man sitting at the right hand of power and coming on the clouds of heaven.” The key phrase is “hereafter” or “from now on (ESV).” The word means from this moment on, at this exact moment, up until now. It does not contain any idea that this is some long off event. For example, it is used in 26:53 where Jesus says that the Father can send twelve legions “at once” (ESV). (See Matthew 3:15, 9:18, 11:12, 23:39, and 26:39 where the word is also used.) So Jesus here is not saying that in some long off future 2,000 plus years away, I will come back to earth on the clouds of heaven. No. He is telling the high priest that from now on I will be seated at the right hand of the Father and coming on the clouds of heaven. It is a very near reality. In Matthew 28:18 Jesus says that all authority has been (past tense) given to him and therefore we should disciple the nations. Daniel 7:14 matches up exactly with this idea. Finally, in Acts 1:9 Jesus goes up to the Father on the clouds of heaven and in 2:34-36 Peter makes clear that Jesus is now sitting at the right hand of the Father. We could also throw in Stephen’s vision of Christ at his death (Acts 7:56). This does not mean Jesus will not return. Of course, he will. Acts 1:11, among many other passages, makes that clear. 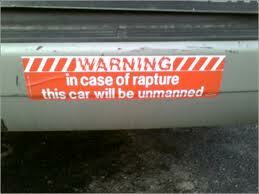 But it does mean the coming mentioned in Matthew 24:30 is not the second coming. It has already taken place.